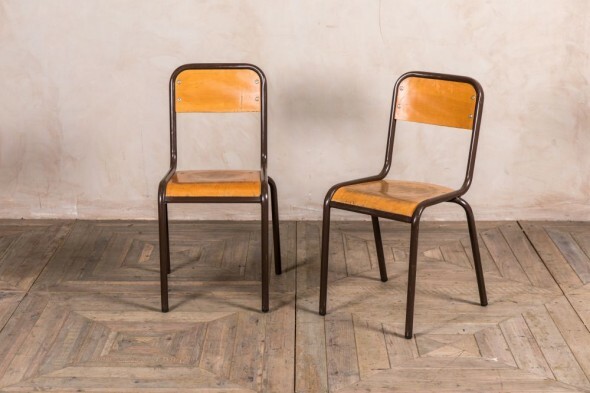 This metal frame chair is a new arrival to our huge range of stackable seating. 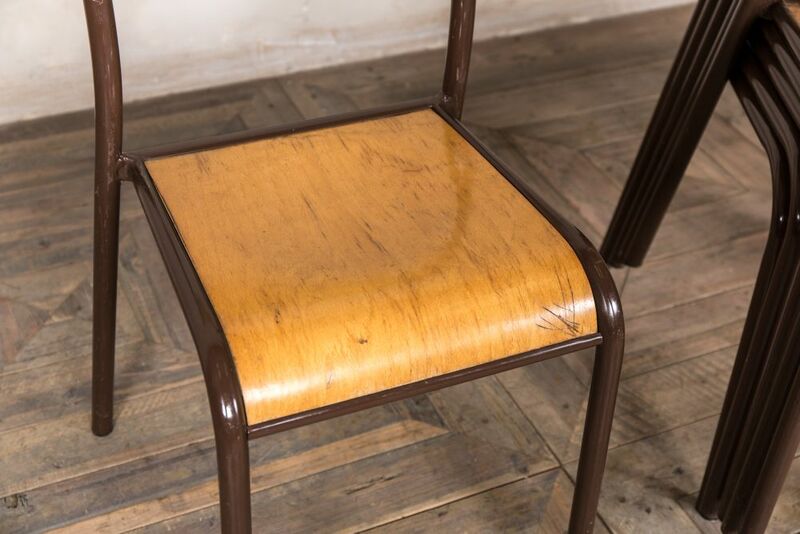 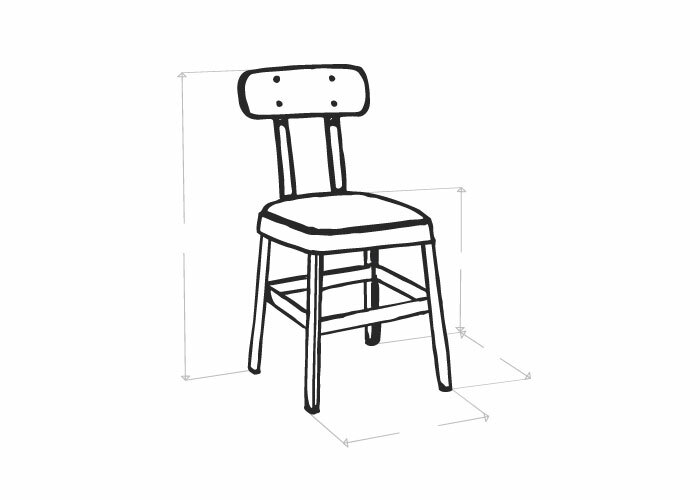 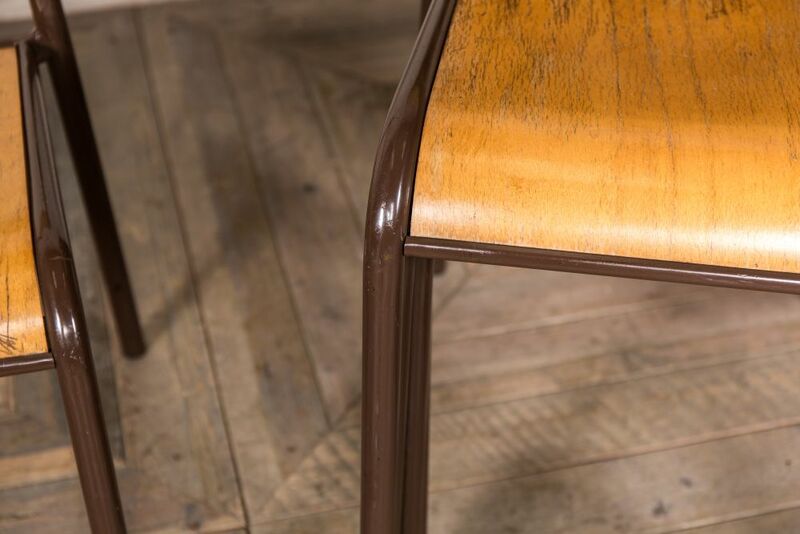 The chair has a square back design and a tubular steel frame. 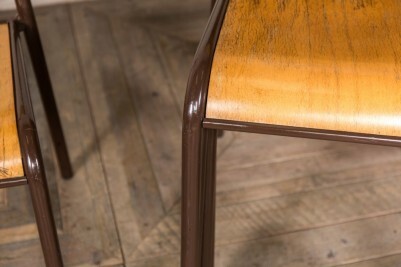 The frame is painted brown, which would be easy to coordinate with your existing decor. 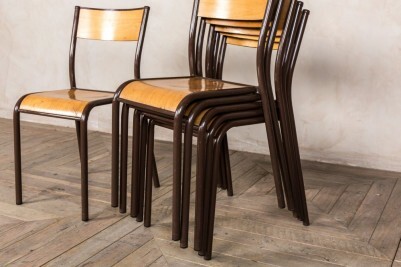 Stacking chairs are convenient for businesses as they are easy to store for busy periods. 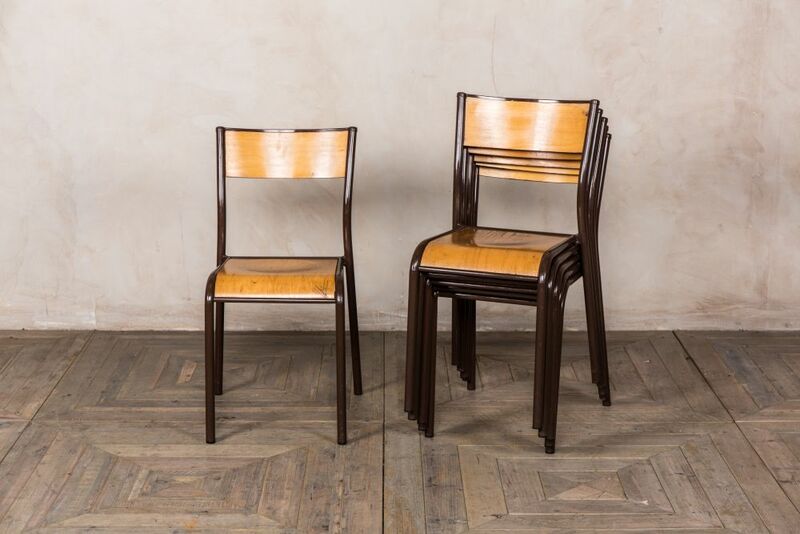 We have other similar models available. Visit our stacking chair section to browse the full range. 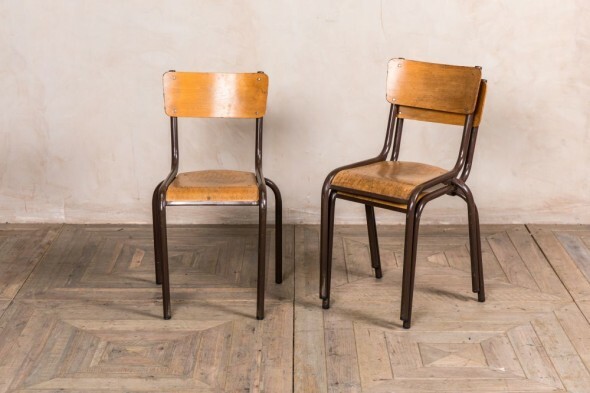 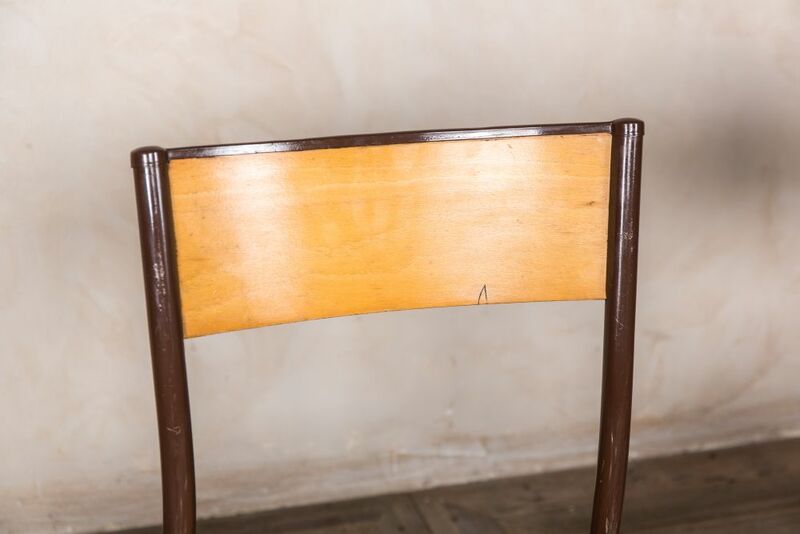 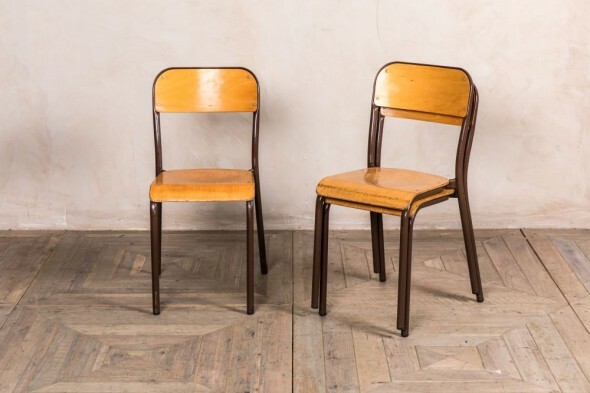 Please note that the chairs are vintage items and will have signs of wear and tear to the frame and seat. 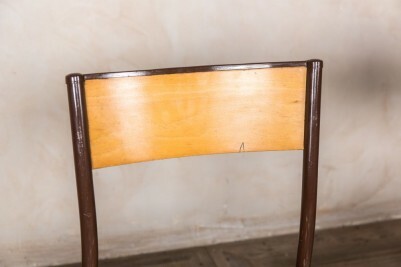 The price is for one metal frame chair; more are available.